I want no part of it! Yesterday was the third consecutive day of rain. This is NOT the San Diego that I’ve come to know and love…. Hail in San Diego? Huh? It doesn’t even rain in San Diego in March, much less hail. If this is Climate Change, aka Global Warming, I want no part of it! 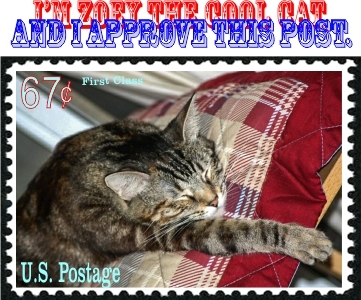 This entry was posted in Cats, Fauna, Mother & Father Nature, Nature, Videos and tagged hail, videos, zoey the cool cat on March 4, 2015 by Russel Ray Photos. Wish you could funnel it all up north where those fields are still looking dry. We’ve been getting the tail of the same storm. We need more of that stuff! Zoey is very cute. Was Zoey chasing the raindrops? Or is she about to become a tv star as the first cat who can predict unusual weather patterns? I can not imagine what it must be like to live in a place where, normally, it could be guaranteed that there would be no rain for a month. Here in England, it can not ever be assumed that the weather will remain dry for a day. It must surely affect our outlook and our mood. And yet, we are stoical ( supposedly) and whistle a little tune as it pours! I hope your weather gets back to normal soon and if not, then make sure you share more action shots of the gorgeous Zoey. I came to San Diego on April 27, 1993. On April 30, I had come up from the beach to watch the news, weather, and sports. The weatherman announced that San Diego had been rainless for 90 consecutive days. I thought to myself, “I could live here.” And…………here I am! That 1993 rainless period lasted for 183 days. Zoey the Cool Cat has magic hail making paws. No! Not “hail making paws.” Ack! Climate Change. “Global Warming” is an out of date term because it confuses too many Republicans, especially when it snows and hails in historically warm places. You need to take a lesson from Zoey. Curl up and sleep until it’s over.